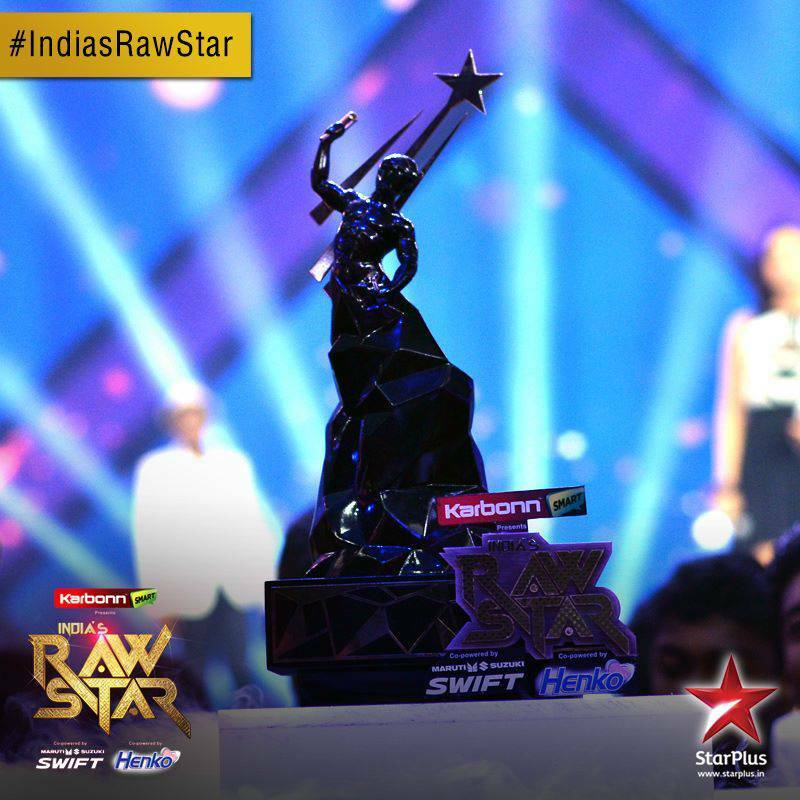 India’s RAWStar – Semi Finals! Last weeks India’s RAWstar opened with the challenge from mentor Himesh to the contestants, that they have to sing live in front of their fans in their favourite cities because performing live and connecting with the audience, is the only way to take their music to the next level. 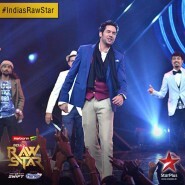 The audience were shown, how the contestants participated in various radio interviews and their journeys to their home towns, to meet their fans. The first live performance that we got to see, was from Jeffrey Iqbal. Jeffrey performed ‘Yun Hi Chala’ live for his fans and he received an overwhelming response. The second live performance was from Darshan Raval who went to his home town Ahmedabad, to meet his biggest fan and to sing ‘Pehla Nasha’ live for the audience. Mentor HR is still amazed that Darshan has composed such a fine love song (‘Pehli Mohobbat’) at such a young age. 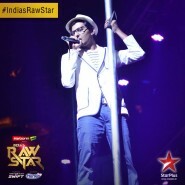 He gave Darshan the name Elvis Darshan Raval – comparing him directly with the legendary Elvis Presley. This is a huge compliment from mentor HR for an upcoming singer like Darshan! HR then continued to say that he would not at all be surprised if Darshan won the finals, but he would be very very very shocked if he didn’t win the finals. It was then time to show Mohit’s journey to his home town of Jaipur. 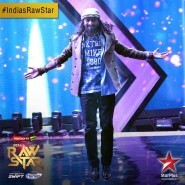 Mohit said that he noticed just how much people had changed towards him, for the better, since he appeared on India’s RAWstar. 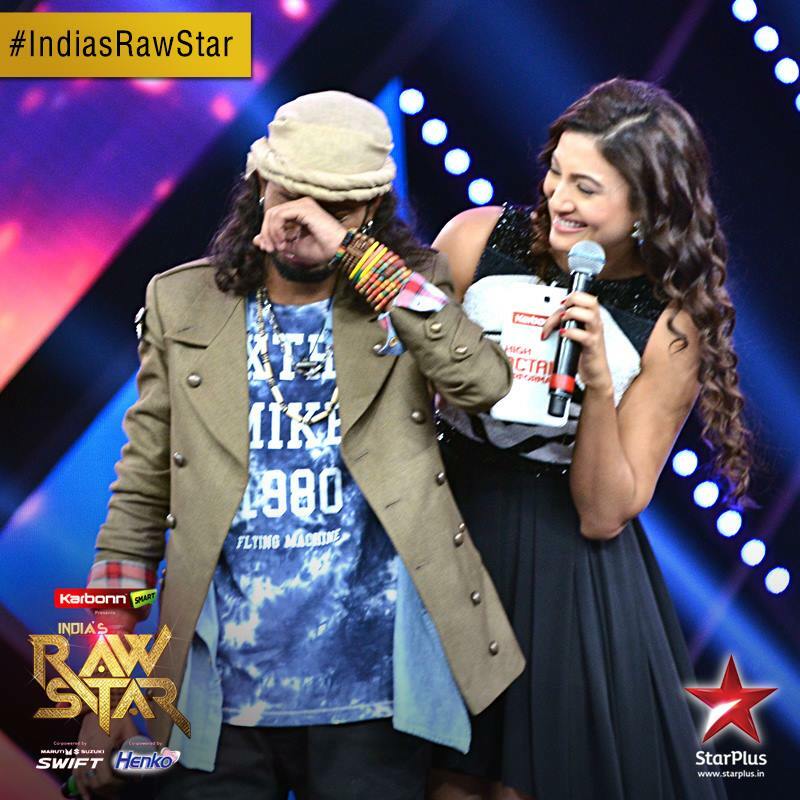 Mohit sang a retro song and host Gauahar said that he was so sweet, that he would surely give her diabetes! HR said that Mohit has really improved so much and he also has a very strong female fan following just like Darshan. 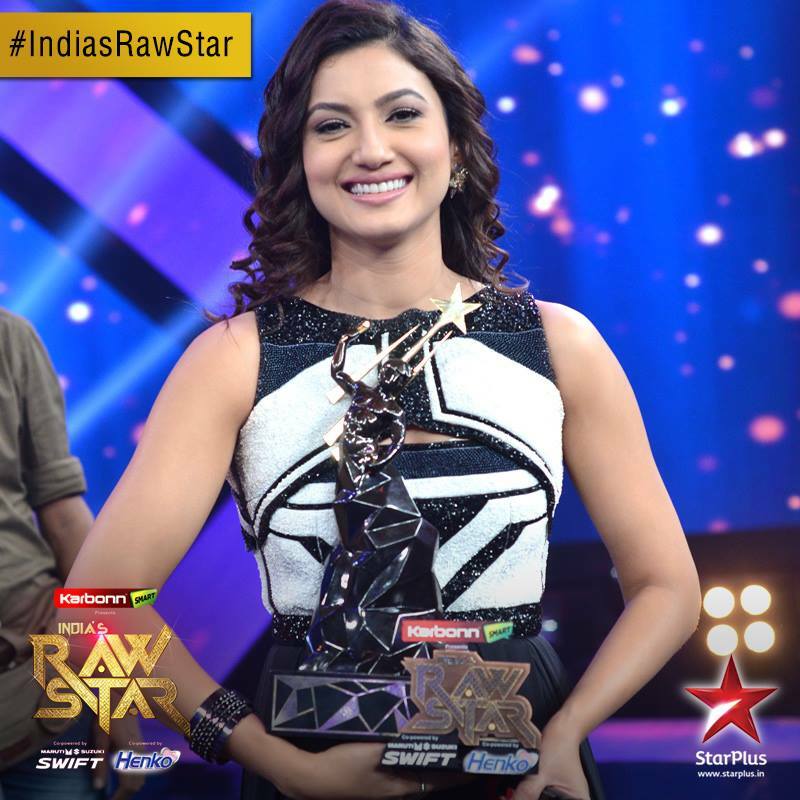 Host Gauahar said that she remembered her early days whilst watching all the AV’s of the contestants. She said that she sincerely prays they continue to achieve success after success just the way she has. Last but not the least, it was time to see Rituraaj’s journey back to his hometown of Bhopal. 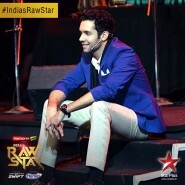 Rituraaj performed live for all his fans and sang the song ‘Tum Ho Toh’ from Rock On!!. As Rituraaj watched his journey he became very emotional as it transpired that he hasn’t seen his parents for the last three years. 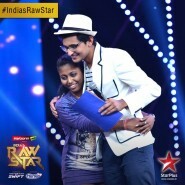 Thankfully, the producers of India’s RAWstar bought Rituraaj’s parents and brother on stage to meet him. This was truly an emotional moment for Rituraaj. 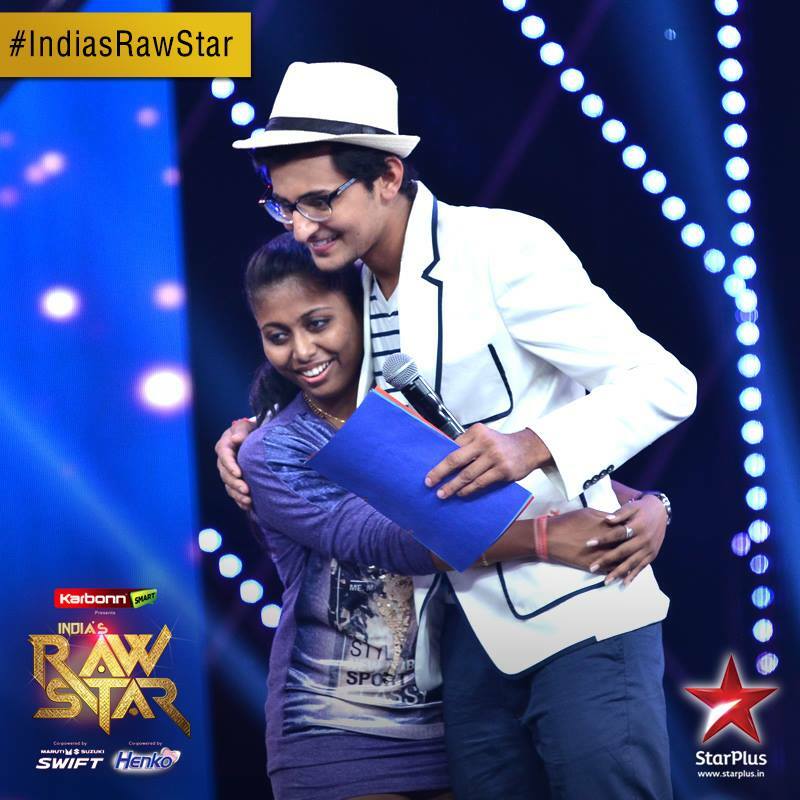 Mentor HR was also present on stage to comfort Rituraaj and welcome his family to India’s RAWstar. Host Gauahar then announced that Rituraaj was the second finalist! It was then time for the face-off between Mohit and Jeffrey. Jeffrey had won two previous face-offs against Mohit, but Mohit was ready to give his all for this one. 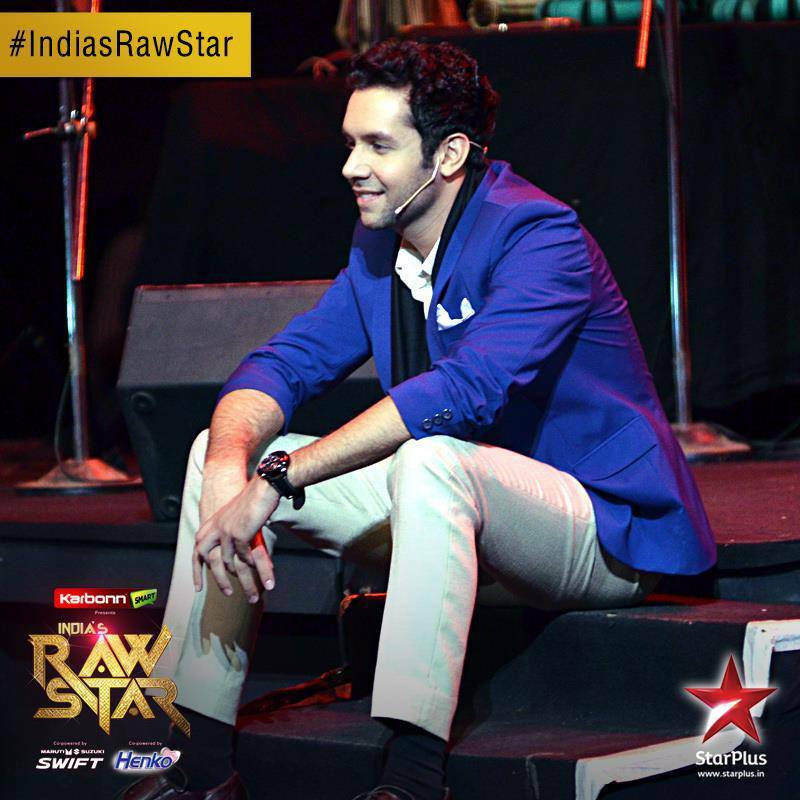 Jeffrey sang the retro classic ‘Parda Hai Parda’ from Amar Akbar Anthony. 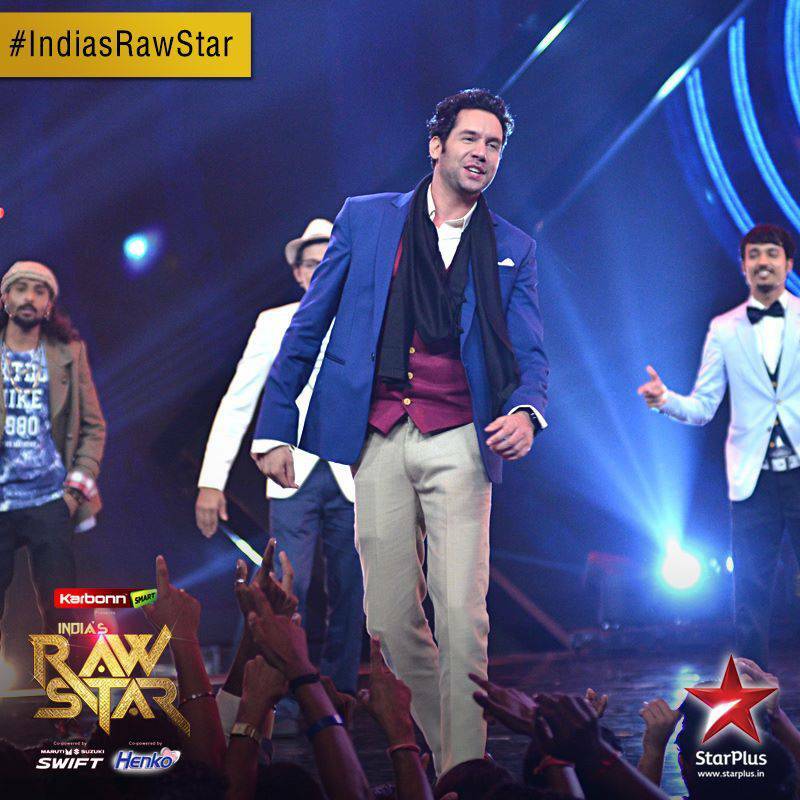 Mohit performed a song from Bhaag Milka Bhaag in his typical aggressive and talkative style. 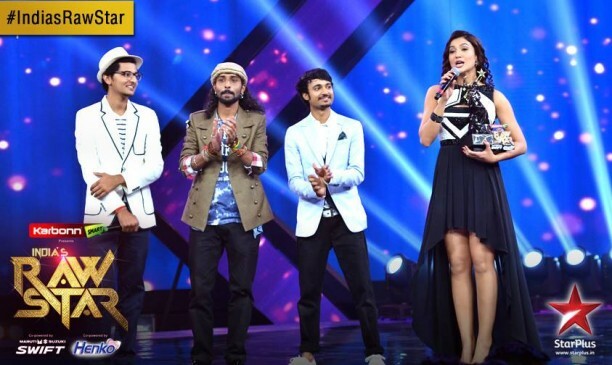 Mentor HR said (very jokingly), that Mohit made two mistakes: his first mistake was not giving the audience a once more of his performance and the second mistake was giving his utmost best performance and winning the face-off against Jeffrey! 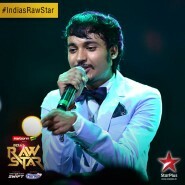 Mohit Gaur became the third semi-finalist on the first season of India’s RAWstar. Jeffrey Iqbal was unfortunately eliminated. 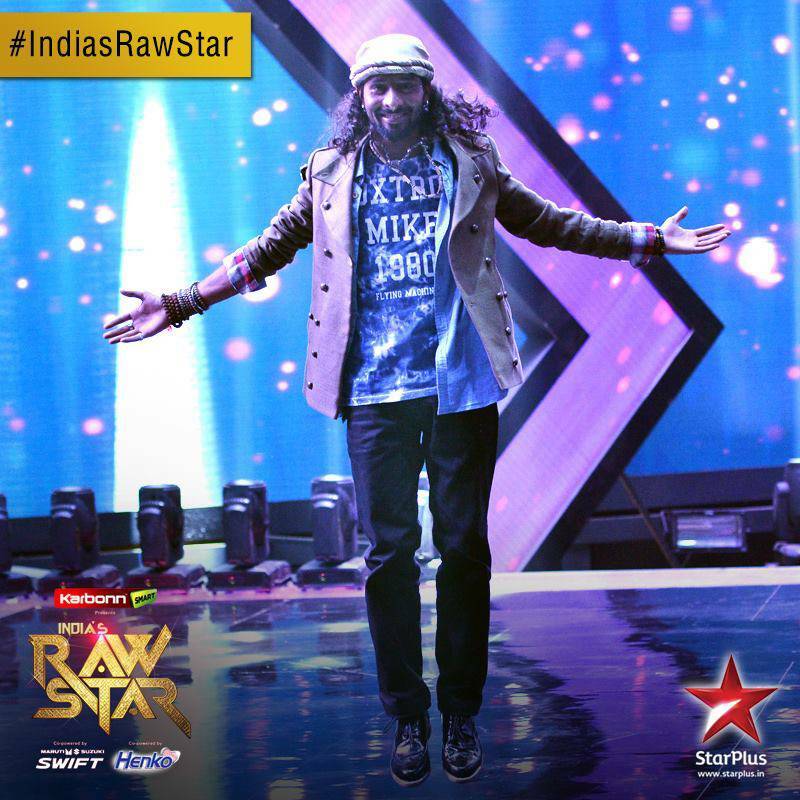 Mohit then performed retro classics’ Koi Pooche Mujhse Yun’ and ‘Tumsa Nahin Dekha’ in his first performance as a semi-finalist. Mentor HR said “pehle finalist ka pehla performance, kamaal ka tha!” HR then gave Mohit a missed call from his phone! 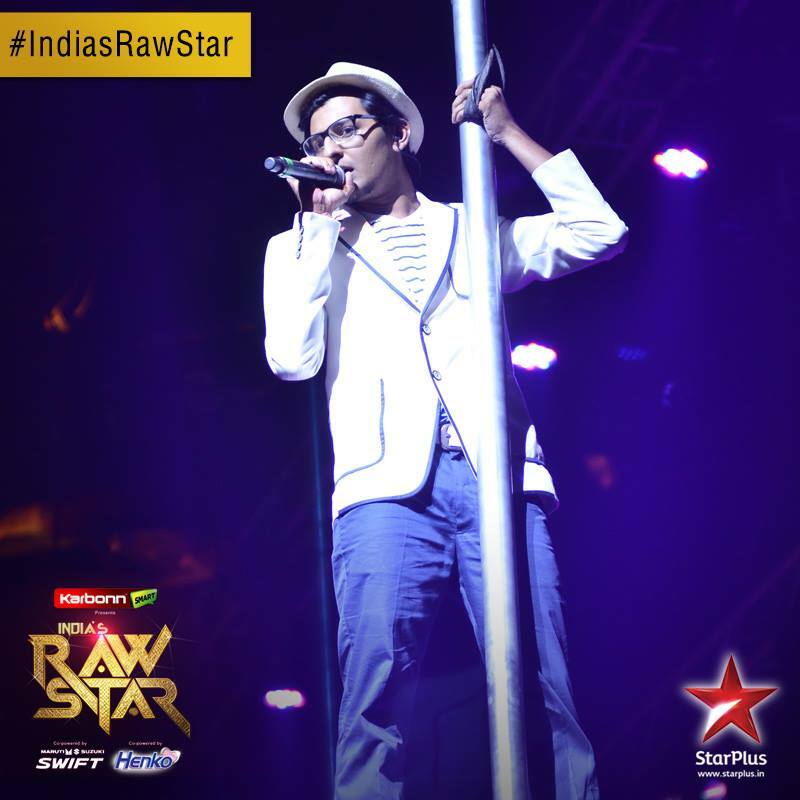 Rituraaj was next to perform and he performed a medley of songs including Banjaara from Ek Villain and Dil Banjaara. This was the first time Rituraaj had performed in front of his parents. 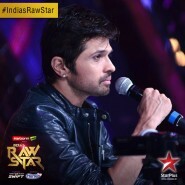 Darshan Raval sang Phir Mohobbat from Murder 2. 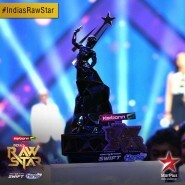 The grand finale of India’s RAWstar next Sunday on StarPlus. Stay tuned with BollySpice for the update! 16 queries in 0.516 seconds.